Talking to media persons, Nepali Congress provincial assembly member Bharat Bahadur Khadka said that Dr KC, who is on a hunger strike for the last three weeks, was 'kidnapped' and taken away to Kathmandu. "Instead of fulfilling his demands, the government acted like a kidnapper. It is very sad that too much force was used to disperse his supporters," he added. Khadka warned the government not to misuse the power and make a mockery of democracy. "In every sector the government is proving to be a autocratic. It boasts of two-thirds majority, but people keep record of everything. This kind of arrogance from the government is not good," he said. 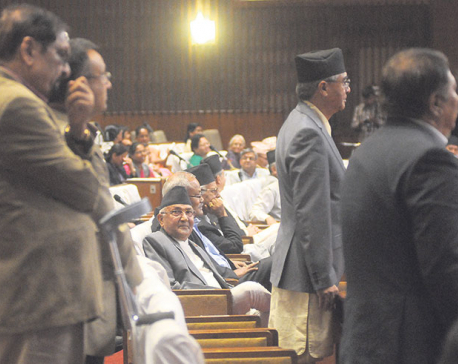 Among 53 members in the provincial assembly, 12 are from the Nepali Congress.